In a band, the role of a bass player is to maintain the rhythmic groove. In most instances, a bassist will work with the drummer to create a musical foundation. In other words, they create the pocket on which the remaining players in the band like guitarists and keyboard players play. To clearly produce the output of an electric bass, hefty speakers are essential. To meet this requirement of a bassist, different bass guitar amps are available in the market. Regardless of whether you are beginning your learning as a bass player or an intermediate bassist looking for ways to expand your implication, we will look for the best bass guitar amp here. Here are some top picks under the category of a bass guitar amp to help bassists in arriving at the best shopping decision. 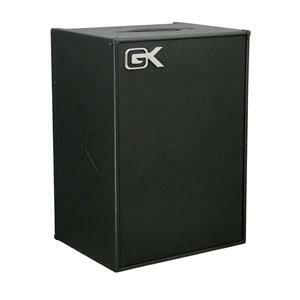 For several decades now, Gallien-kruger is a great name in the top-quality bass amplification devices. Many top artists from around the world choose amplifiers from this brand. As far as the MB-II model is concerned, they are known for their big sound that is produced in a light compact package. This specific 212-II model features 500 watts of power. In addition, it has a couple of 12 inch Paragon Neodymium speakers. This unit also has a chain output for those looking for ways to drive cabinets that are powered by MBP series. The weight of this unit is 46 pounds and the dimension is 15 x 19 x 26 inches. It has gained 5 out of 5 in customer reviews. 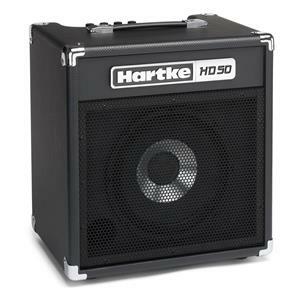 This model from Hartke is a 500-watt output power unit. It is a hybrid model amplifier with hybrid cone driver. It also has a 12” HyDrive paper. It has unique shape EQ contour controls that come with different filters. It has a 3-band EQXLR direct output. There is a headphone output along with active/passive bass input in this unit. This brand has actually recently titivated their Kickback Series bass combos with lightweight and high-powered design. However, this series maintains its classic enclosure. 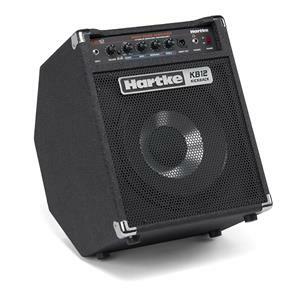 The KB 12 comes with the patented HyDrive Speaker Technology from Hartke. It is true that it has a 500-watt of class D power, but it is greatly portable and also it delivers serious bass tone that attractively cuts through the mix. 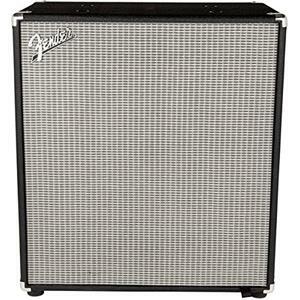 This unit from Fender comes with the classic fender styling. There are of course, additional upgrades from Fender as compared to the previous models introduced by this brand. Some of the upgrades include premium HF Compression tweeters and Eminence Drivers. To ensure convenience and the best performance, all Rumble cabinets in this unit are equipped with the patented magnetic rumble head-attachment system from Fender. To ensure superior level of sonic detail, this unit comes with revoiced cabinet. This feature also assures low-frequency translation. In fact, the Rumble series was introduced by Fender as an expansive leap forward in the development of portable bass amplifiers. At the weight of 62.5 pounds, this unit has a dimension of 20.8 x 33.6 x 30.6 inches. This bass guitar amp is 450-watt RMS power unit from Ampeg. It comes with a couple of 10” Ampeg Custom speakers. You can shape the tone with the Ampeg Ultra Hi/Lo Tone shaping feature. It has a 1” HF tweeter and this unit delivers SVT grind through its Bass scrambler overdrive. It ensures the classic Ampeg tone along with the modern flexibility. The rugged portability that features a protective all-steel amp chassis adds not just attractiveness, but also usefulness to the amplifier. The corners are resistance to impact as they are made out of metal. All amplifiers in this series are designed by Ampeg to ensure long haul. Created to provide both performance and portability, you can take this unit anywhere. This is one of the most balanced models to date in the market. The reason is that Orange has combined the lessons that they have learned from their previous mistakes and also their experience in this model. This unit delivers a highly tasty tone with sufficient power and so it can be called as a versatile bass guitar amplifier. With a semi-analog circuitry and a ported cab, you will experience the best punchy low-end notes. The notes will not just be tight, but also they will be well-defined and powerful for sure. In addition, Orange has included many attractive features in this Crush PiX CR50BXT model. For instance, they have included an on-board tuner and also FX loop in this unit. This is a 50-watt output power guitar amplifier from Hartke. This unit has a 10-inch hybrid cone driver with ceramic magnet. It is a top-mounted amplifier with controls for treble, mid, bass, and volume. It has a ¼ inch input, which can be used by guitarists, who play active or passive. It also has a 1/8 inch stereo Aux for line level devices. This amplifier also has a mono headphone output in the size of a 1/4th inch. In the bass speaker technology, the Hartke HyDrive Transducers are a radical improvement and change. The uniquely designed cone speaker is constructed with the help of outside paper cone and so it can produce deep and warm low frequencies. There is an aluminum cone inside that produces cut and mids, but these sounds are sweet to hear. This amplifier will help you explore bass tones from classic to modern punch. This is possible because of the freshly developed overdrive circuit. This is also possible because of the switchable contour controls. Even though it is a light weight amplifier just at 22 pounds, it is a beefy 100 watt class D power amplifier. It also comes with ported speaker enclosure pumps. You can practice privately with this unit due to the presence of 1/8” headphone output jack. In addition to providing personal listening experience, it also mutes the speaker output, such that the sound will not disturb others. You can just jam along with your favorite tracks. Yes, this is possible by simply plugging your MP3 player into the 1/8” Auxiliary input jack. This product from Orange has an unboxed weight of 8.93 LB. The dimension of this unit is 10.24 X 10.24 x 6.5”. It comes with an impedance of 8 Omhs and power handling capacity of 20 watts. This unit has the similar look to that of larger stage-ready PPC cabinets. This miniature incarnation delivers great sound. With an 8” voice of the world speaker, this unit records strangely well when connected with its matching amplifier head. This, in turn, delivers a punchy tone. Not just smart looks, but also its smart sounds make it the best bass guitar amp in this category. 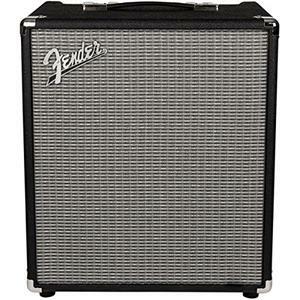 At the shipping weight of 9.8 pounds, it produces big tone and it is a great little cab. 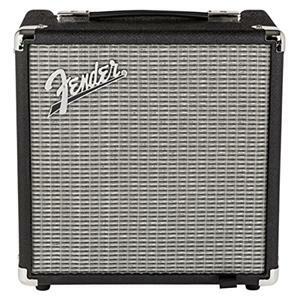 This unit from Fender, of course, offers the legendary Fender tone in an extraordinarily portable package. This product is from the company that discovered the electric bass amplifier. There is the Auxiliary input jack for plugging in MP3 player to listen to your favorite songs. It comes with limited warranty and three band EQ permits for tone shaping. You can practice in privacy with the ¼” headphone output jack. It simultaneously mutes the speaker output thereby you need not have to disturb others. This unit uses every last electron of its 15 watts to make sure that you can achieve balanced and surprisingly rich sound. Regardless of whether it is backstage rehearsal or an acoustic gig, this unit delivers tone in the best manner. 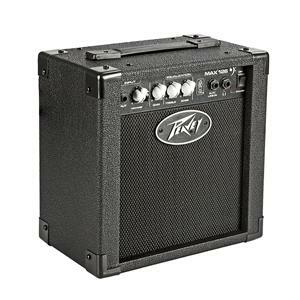 This unit from Peavey produces amazingly low bases with such an excellent lightweight. It comes with the patented TransTube Circuitry from Peavey. You can select the vintage gain control and volume control features. There are low and high EQ controls and of course, the legendary Peavey reliability is something worth to mention here. The 6.5-inch speaker has a ¼” Aux input and also a ¼” headphone jack. With the power rating up to 300 watts along with the Peavey exclusive tone enhancements and DDT speaker protection, the Max series from this company is designed for reliability in bass amplification, performance and superior tone. This unit that belongs to the MAX series delivers huge bass tone with high-class Peavey designs. 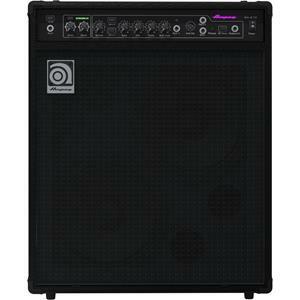 Bass guitar amplifiers generally come with a wide range of features. The features are included by manufactures in such a way that the users will achieve cleaner sound. Other features like equalizer and the kind of speaker cabinet used in the construction are also to be considered in shopping for the best bass guitar amp. Amplifier: The wattage of a bass amplifier will determine its strength in producing quality sound. 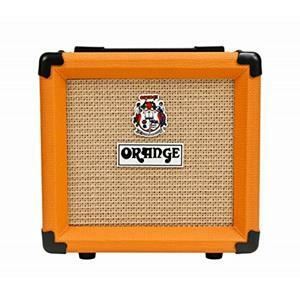 If you look for an amplifier to help with our practice sessions, you can go for the one with less than 100 watts. On the other hand, if you decide to play music with a keyboard player and a guitarist, it is important that you should look for an amplifier that will produce louder sound with nearly 200 watts. If you play your music with a drummer by your side, even more powerful amp is required usually at 400 watts. In the case of bass players performing with a band, it is highly important that they should go for an amplifier with minimum 400 watts. Channels: In general, bass guitar amplifiers come with few varied channels. These are individual paths for signals within the amp and it is possible to control them independently. It will be possible for bass musicians to add effects to some channels. But, at the same time, they can keep the other channels on their natural sound. In addition, when you play via pedals, you can switch back and forth between varied channels. So, nowadays, buyers looking for the best bass guitar amp can compare different models and they can choose the one that meets their requirement in a number of ways. 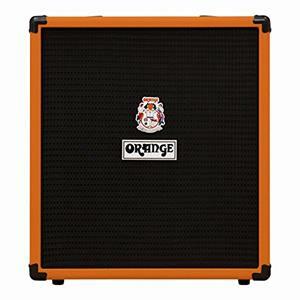 These features are to be compared before choosing the best bass guitar amplifier.